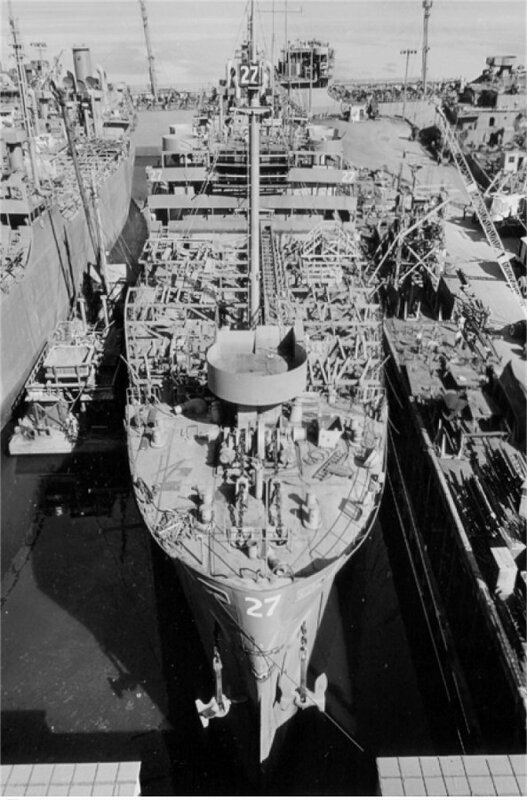 Laid down, 12 July1943, as a Maritime Commission type (T2-SE-A2) tanker hull under a Maritime Commission contract at Marinship Corp., Sausalito, CA. 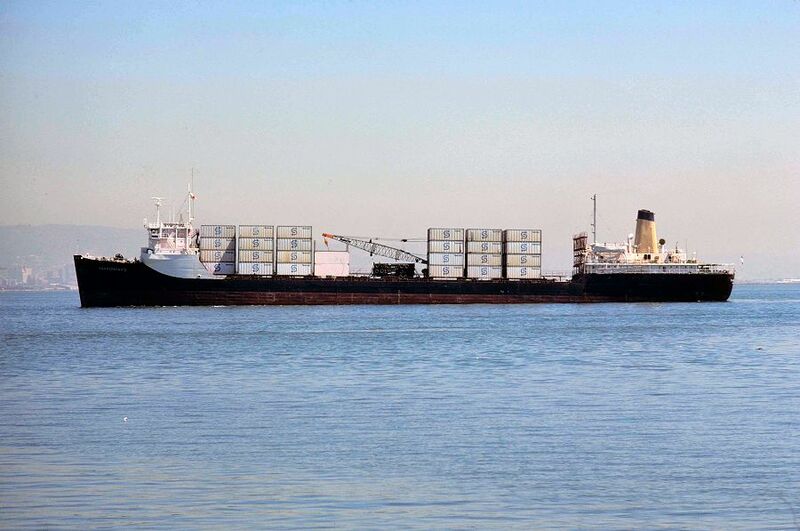 Returned to the Maritime Commission, mid-February 1946, for lay up in reserve at Marinship Corp., Sausalito, CA. 21 to 27 November 1951 . 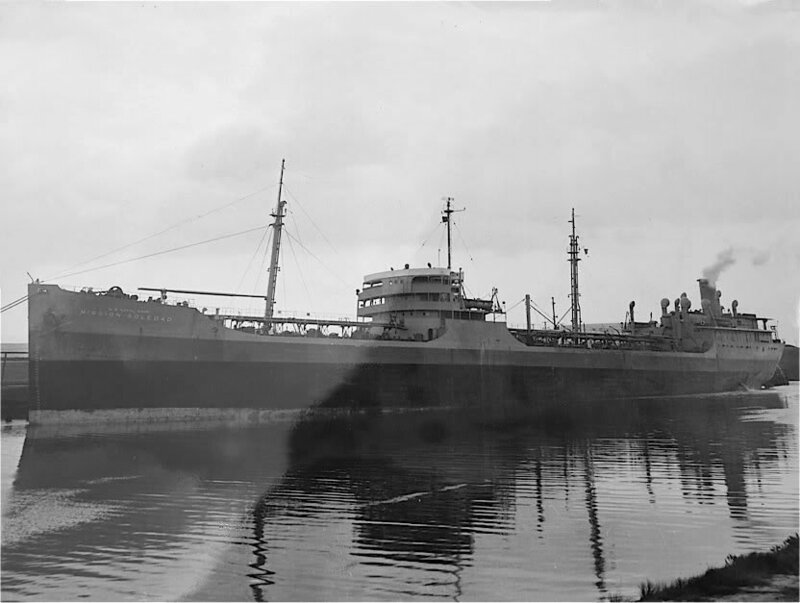 Sold, 18 September 1969, to Greyhound Leasing and Financial Corp.
130k Mission Soledad at Dock B, Marinship Corp., Sausalito, CA., 29 October 1943, 55 days after launching. 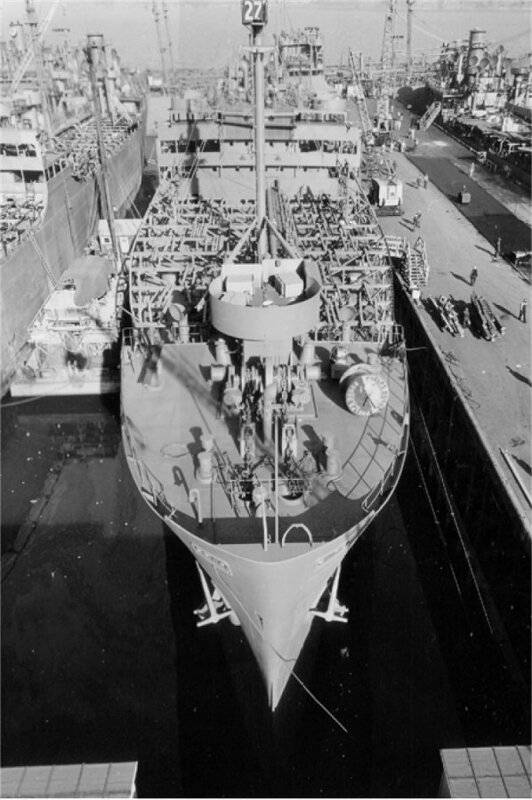 115k Mission Soledad at Dock B, Marinship Corp., Sausalito, CA., 26 November 1944, 63 days after launching. 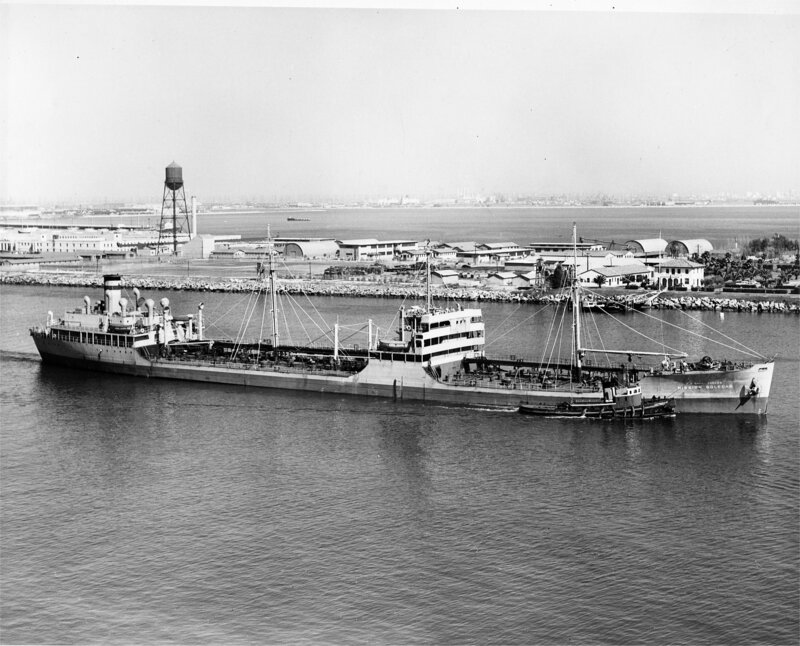 64k USNS Mission Soledad (T-AO-136) moored pierside, date and location unknow. 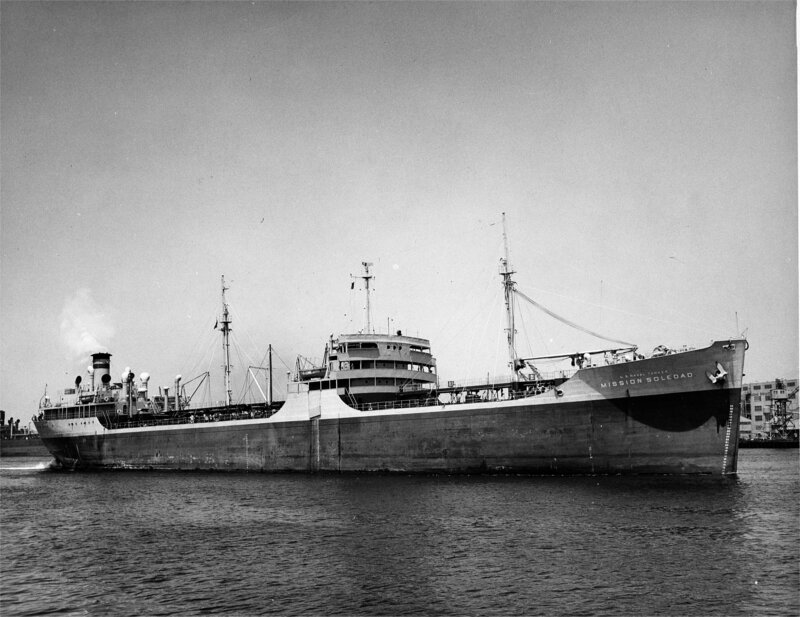 86k Ex-Mission Soledad in merchant service as SS Transontario underway, date and location unknown.